When formulating an investment plan, one of the most difficult things is finding information that you can use. If you are interested in a better brand of research, a new company, Tribunat, might be just the thing. Valuation: This provides you with the facts about a company. Simply enter the ticker, and you receive a great deal of information on any publicly traded company. You can also use this tool to see how your own assumptions play out with the likely financial future of a company. Playing around with this feature can provide you with a great deal of insight. This feature is based in Microsoft Excel. Exchange: Not only do you receive information, but you can get involved in the information marketplace offered by Tribunat. This marketplace is one where you can acquire reports from others, and even contribute your own reports. It’s about crowdsourcing investment knowledge and building up a base that can help you with your efforts at pinpointing intrinsic value. Shares: You also earn shares for the reports you contribute. You can also earn money by selling your reports. If you craft useful reports, you’ll be able to earn more money, and even earn more shares in order to earn free reports as well as raise your profile in the Tribunat community. 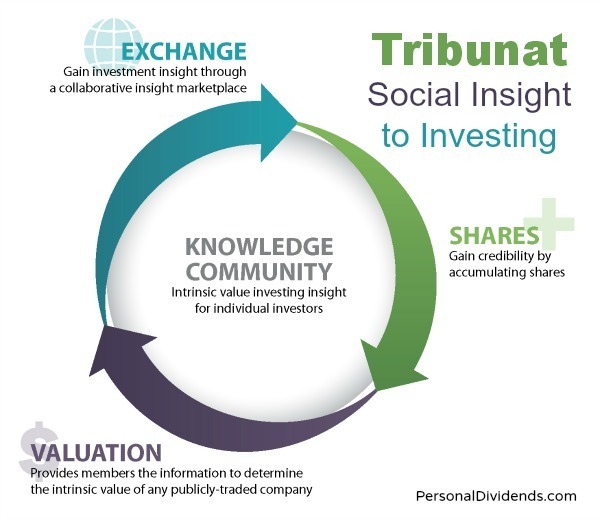 Tribunat is trying to building thriving community of investors. The idea is that independent analyses and research from a variety of sources can help you make better investment decisions. Plus, you get the benefit of sharing your own insights with others. How Much Does Tribunat Cost? If you are a serious value investor, looking for in-depth analysis and valuation information, and if you are interested in sharing your ideas with others and getting ideas from others, Tribunat can be a great tool to help you. It can be well worth the money, too, if you are looking to build a solid value portfolio based around individual companies. I can also see the potential for a dividend portfolio. What do you think? Is Tribunat something you might be interested in using?